The Irvington neighborhood is named for Captain William Irving, a steamboat captain from Scotland. He moved to Portland to continue with his lumbar business. After his death, his widow and son began subdividing and selling much of his large real estate claims. Many of the Irvington homes were built in the late 19th and early 20th centuries. Irvington was recently added to the National Register of Historic Places as an Historical District and is the largest Historical District in the state of Oregon. Irvington features expansive homes of architecturally significant styles including Arts and Crafts, Colonial Revival,Prairie, Bungalow and Craftsman. Irvington is home to the Irvington Club and Irvington Park. The Irvington Home Tour takes place on the third Sunday of May. Irving Park occupies about sixteen acres in the northwest corner of the Irvington neighborhood bordered by NE 7th Avenue and NE Fremont Streets. 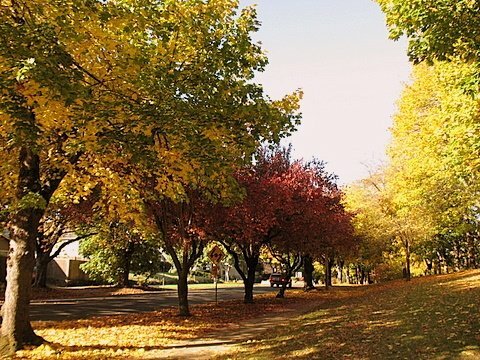 Like the Irvington neighborhood itself, the park is named for Elizabeth and William Irving, whose mid 19th century Donation Land Claim included this area of Portland. Irving Park features include sports fields, an off-leash dog walk area, tennis and basketball courts, picnic areas and a playground with a spray pool water feature.